Imagine standing before thousands of people on stage in a beauty pageant where everything is dependent on your physical appearance. Now imagine if you had a rare disease which meant you had to wear a wig daily otherwise people might make fun of you. That’s pretty much the reality for 19 year old Salt Lake City girl Angelica Galindez. 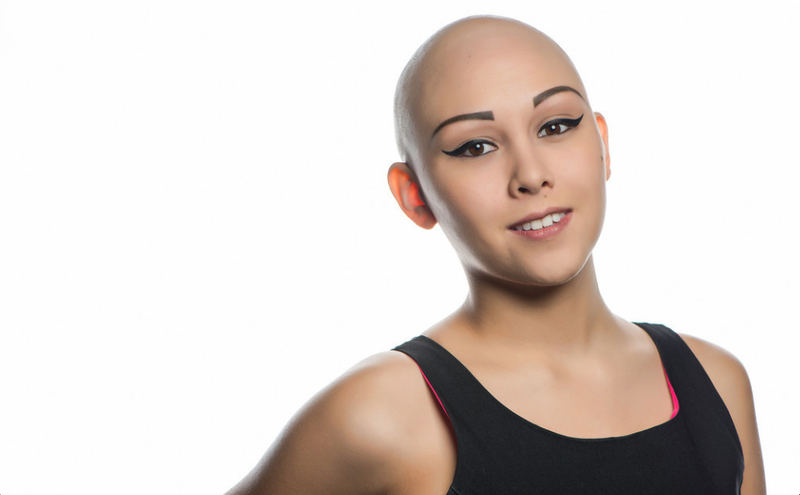 When she was 12 years old she was diagnosed with alopecia, a condition where the immune system mistakenly attacks the hair follicles causing hair loss. It is usually not permanent, but can be devastating to a young girls’ self esteem nevertheless! She completely lost all her hair during high school and wore hats to cover up her baldness. But teachers would force her to take her hat off, and students would tease and bully her, leaving Angelica in tears quite often. Today, ironically, Angelica, born in San Francisco, is a beautician and works with women who deal with hair loss. 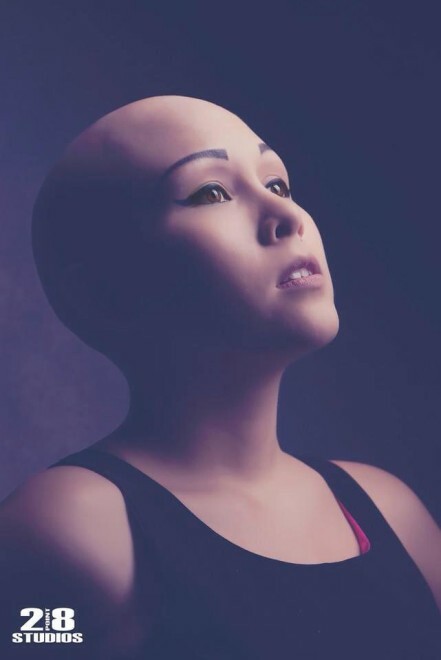 She wears a wig normally, but when the opportunity to enter a beauty pageant came up, she used this as an excuse to do something different and empower others suffering with alopecia. Her grandmother persuaded her to enter the Miss Philippines Earth USA and on Saturday November 2nd, 2013 she became one of 6 girls who took home a crown (air, fire, earth, eco-tourism, water and teen are the categories). But the best part was that although her initial entry was a picture of her with a wig, when the day of the event rolled around, she decided to compete without it, in an effort to raise awareness about the condition and hopefully help the self esteem of other young female sufferers. By winning the Miss Philippines Earth USA “Water” crown she will now compete at the national version of the contest in April in Manila, Philippines. It seems this opportunity had become more about redefining beauty than winning a prize. Organizers of the event told press it didn’t bother them that she decided to ditch the wig. Overall Galindez saw the pageant as a means to spread an important message. It seems the very definition of beauty pageant is being redefined, re-shaped and becoming more inclusive on all accounts. Remember Nina Davaluri, the Indian girl from New Jersey who just won Miss America earlier this year? And let’s not forget the range of varied pageants that exist and that are being started by women and organizers who want to inspire girls in a whole new way. Check out Miss Plus Top Model, Miss Arab USA, Miss You Can Do It, not to mention the countless number of girls who have overcome diseases, conditions and illness to come out on top in various beauty pageants around the world. Whether they win or not, using that platform as a means to influence and shape the vulnerable minds of today’s youth in a positive way is a huge deal. This is much more lasting that a fake gold crown with fake diamonds. These are the priceless words and actions that could be the different between life and death (in some extreme cases) for a young woman’s life. Bravo to Angelica and the many other women who choose to be proud of their flaws and not let it hinder them from being all that they are created to be. And she is beautiful! She carries herself well and has confidence. Yea, for her. This needs to be on the news daily, so young girls or anyone suffering with baldness (possibly from cancer) can see how truly beautiful they are.